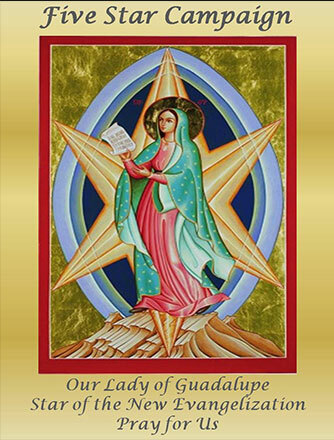 We welcome you to the webpage of Palm Desert, CA, Our Lady’s Desert Roses Chapter. 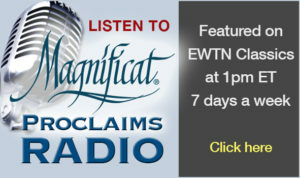 These are exciting times that we live in and Magnificat was begun in 1981 for such as time as this. There are now over 100 chapters throughout the United States and its territories and in many foreign countries. Open seating. Plan to arrive about 9:00 am. 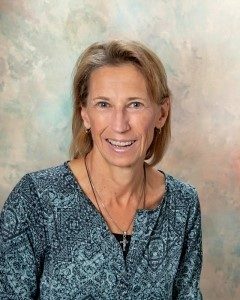 Susan Potvin, worship leader and inspirational speaker, has been involved in Catholic and ecumenical work for more than 30 years. She and her husband, Urby, who have been married for 37 years, reside in Steubenville, Ohio. Passionate about adoption, they have raised four children and have one grandchild. In her testimony, she shares her oldest son’s battle with drug addiction and how the Lord can heal broken families through the power of His forgiveness. Susan is the leader of Living Praise Worship Team, which travels nationally and internationally. Susan is an advisor-at-large for the Magnificat National Service Team, serving as the chairperson for Praise and Worship. She also serves on the advisory team of the National Service Committee for Charismatic Renewal. With Living Praise. Susan has produced seven worship CDs. She graduated from Franciscan University of Steubenville with a BA in Theology and has a Masters of Educating in School Counseling from Liberty University, and works as a school counselor at a K-12 Christian school. Cost: $28 per person if postmarked by 9/1/19. Use form below to mail in reservation. After 9/1/19, call Janice Shepherd, (760) 9/02-7395 to check availability and to make reservations, $35 each. All Clergy & Religious are Complimentary – Call (760) 902-7395 to confirm your attendance. Your name tag serves as your ticket and it will be available at the door. Spiritual Director: Fr. Michael Barry, SS.CC. Remember our chapter’s commitment to Eucharistic Adoration and to pray the Rosary on the 10th of each month for the intentions of Magnificat, Sanctity of Life, Marriage and Family, and World Peace. If you would like to help with a Ministry of Magnificat, or if you have a question or comment for our Service Team, or if you would like to be on our Mailing list for future events, please contact us at MagnificatPD@aol.com or visit our website at www.magnificatpalmdesert.net. On the Feast of the Visitation, May 31, 2003, five women gathered together to pray and discern the possibility of establishing a chapter of Magnificat in the Diocese of San Bernardino. Those in attendance sensed the Lord was placing this ministry upon their hearts. Although no public advertisements were made, the Lord continued to expand what would soon become the chapter’s first Advisory Team. This group continued to meet as women were personally invited to join the discernment efforts. Before long, close to fifty women were meeting monthly at the home of Donna Ross for praise, prayer, discernment and fellowship. Under the inspiration of the Holy Spirit, and the spiritual direction of Fr. Mike Barry, SS.CC., the women continued to pray, fast and sacrifice for the establishment of this beautiful ministry. On June 3, 2005, Our Lady’s Desert Roses received formal approval from Bishop Gerald Barnes. On Saturday morning, October 15, 2005, the first Meal was held at the Desert Springs Marriott with over 500 women in attendance! Praise God!